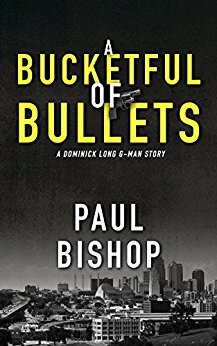 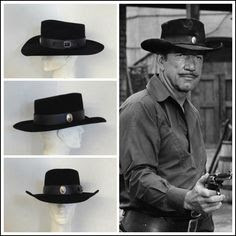 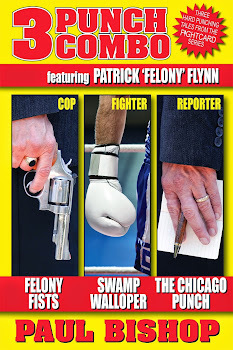 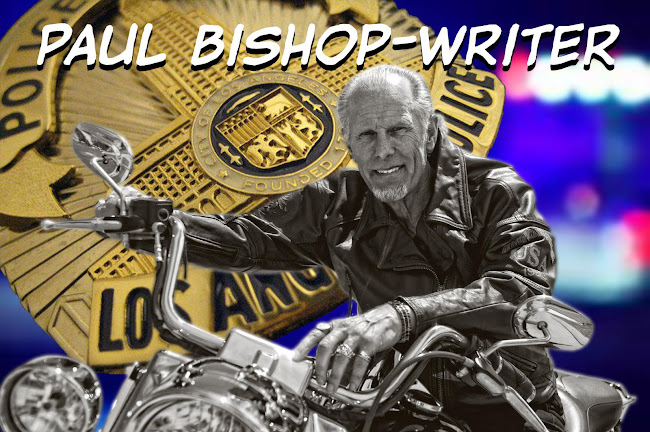 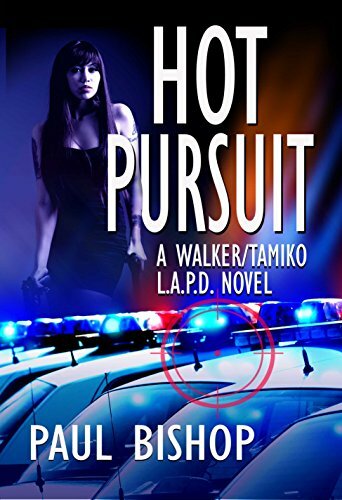 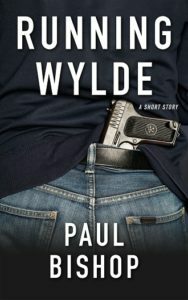 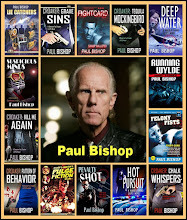 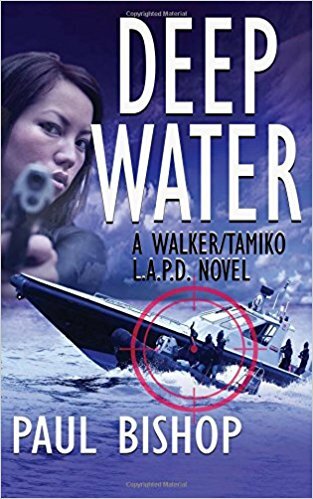 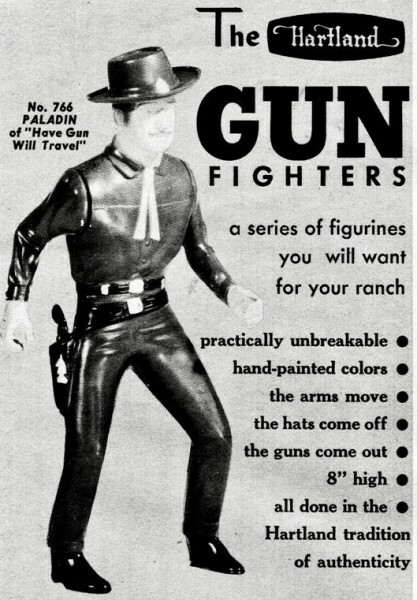 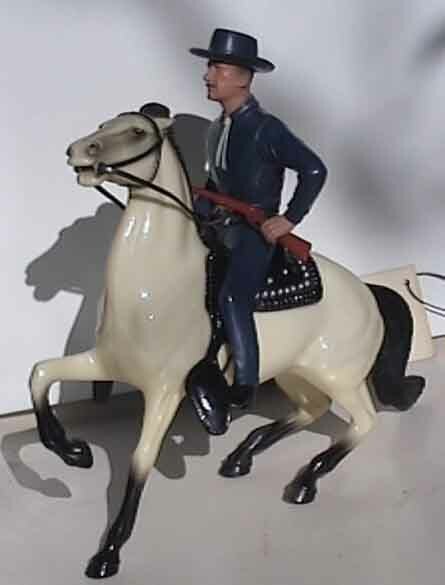 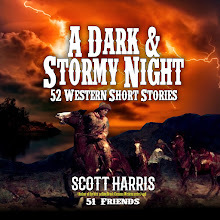 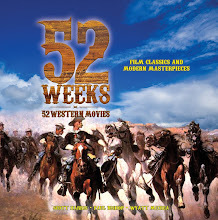 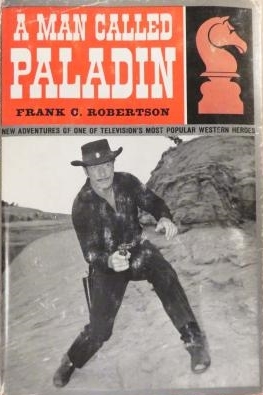 A West Point graduate who, after the Civil War, turned professional gunfighter, Paladin has his home base in San Francisco's Hotel Carlton. 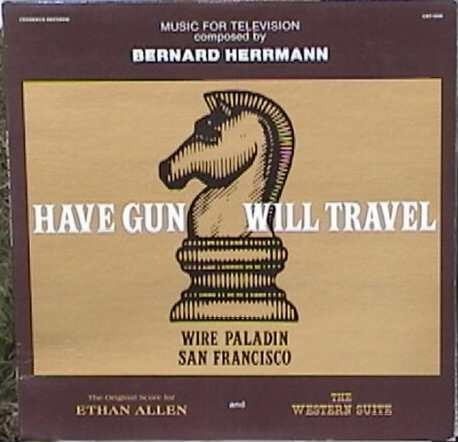 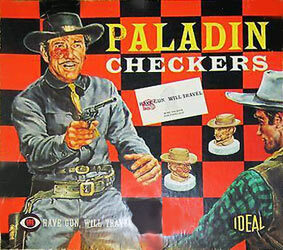 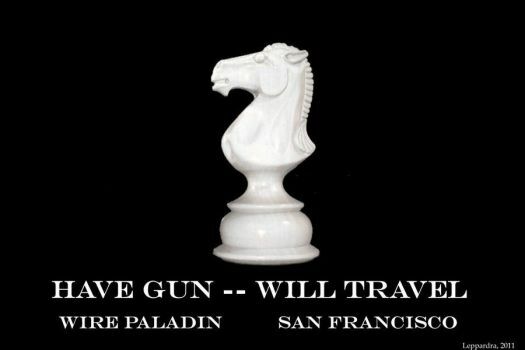 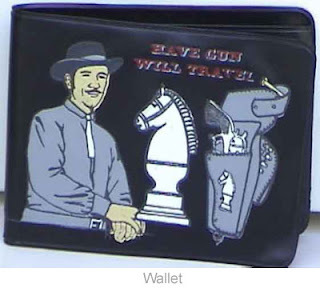 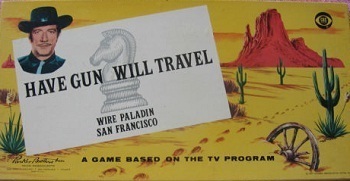 There he awaited responses to his business card, which displays a logo of a chess knight with the words, Have Gun, Will Travel...Wire Paladin, San Francisco. 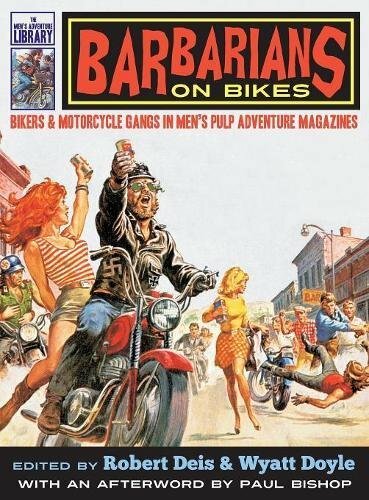 Perilous Journey is an English publication from 1959 by Barlow Meyers. 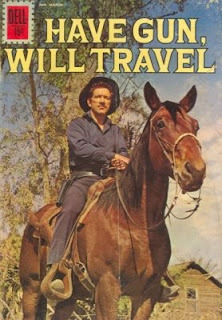 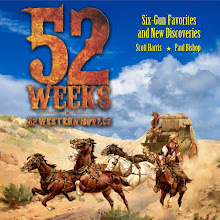 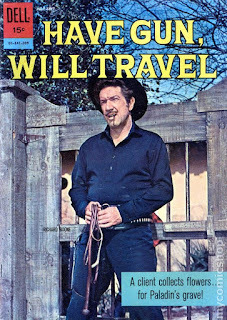 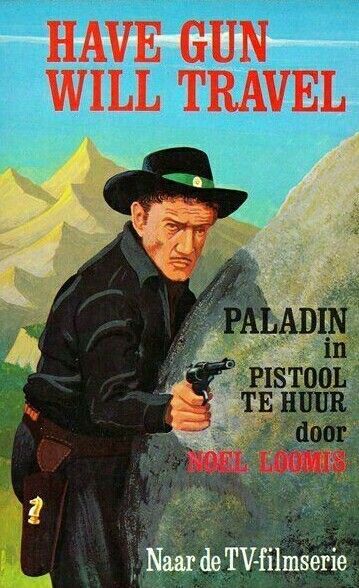 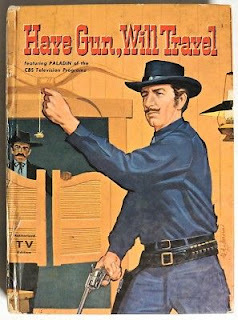 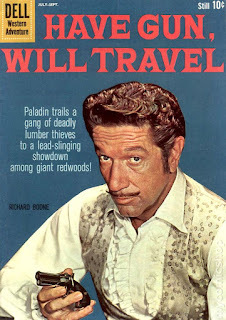 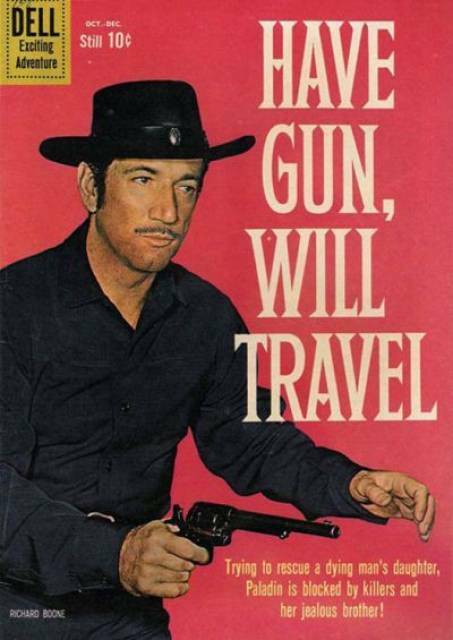 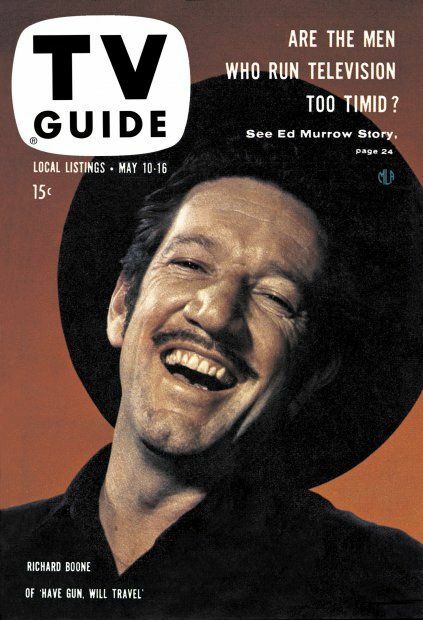 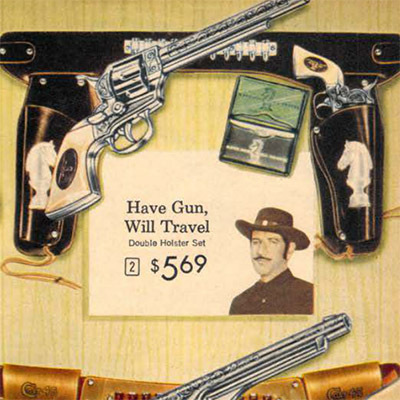 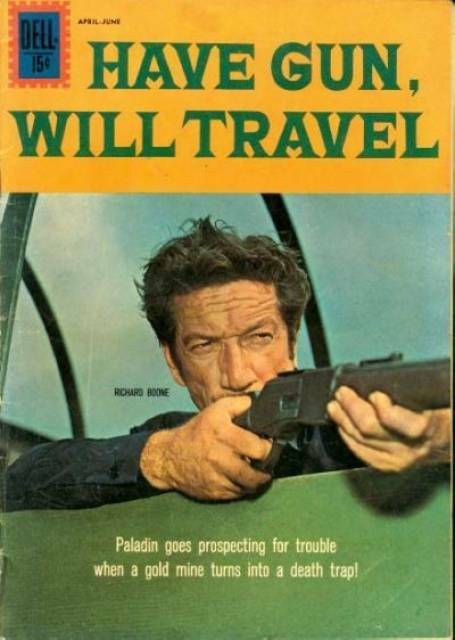 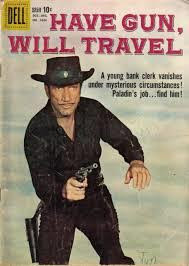 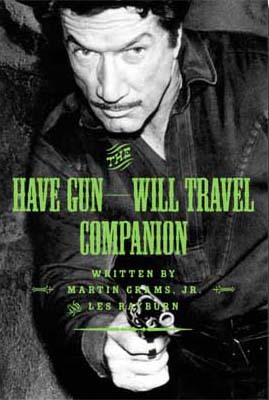 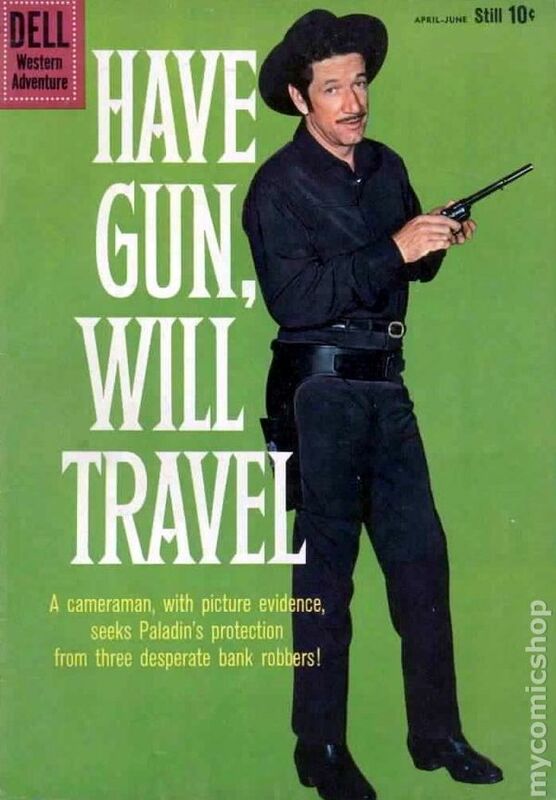 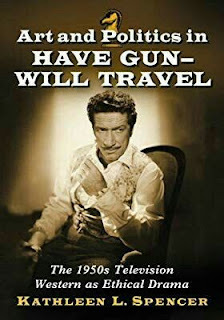 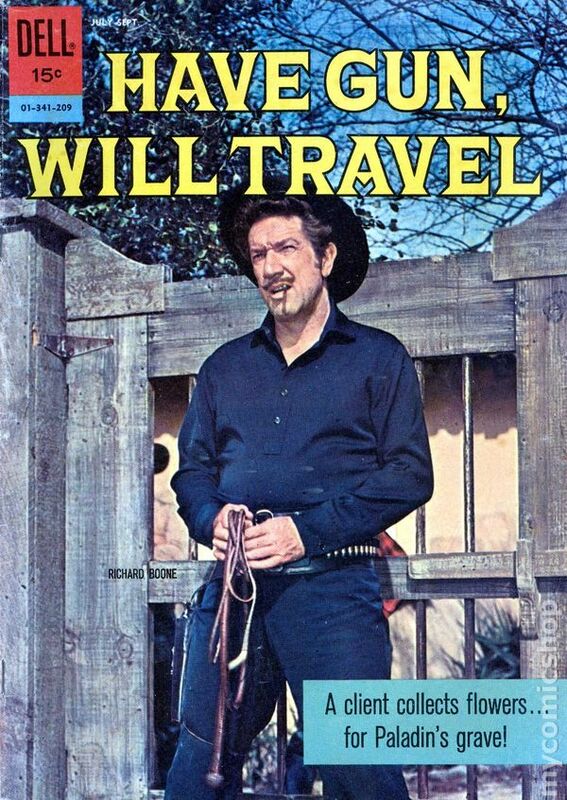 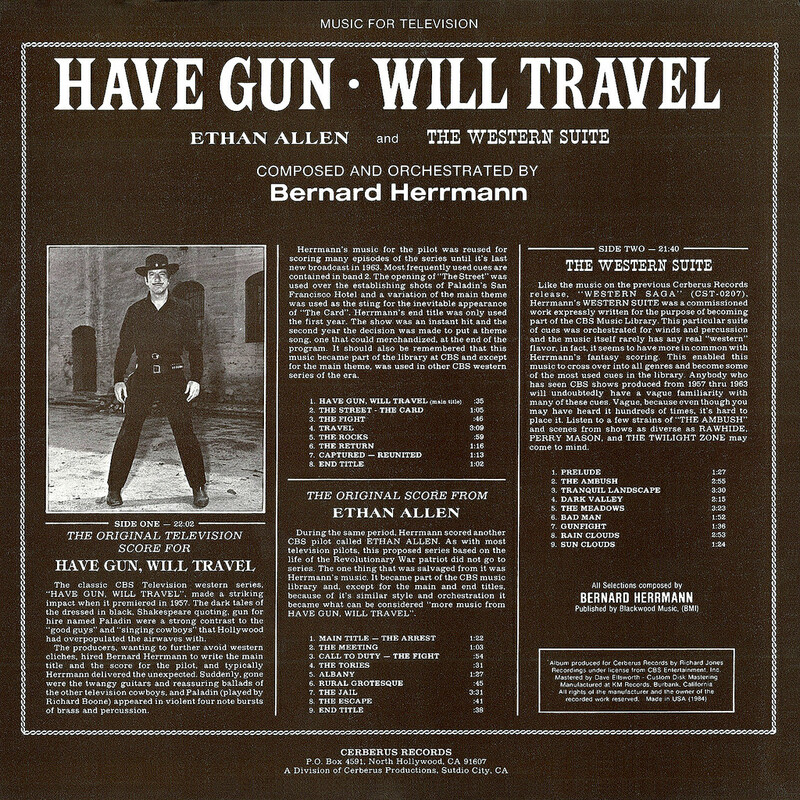 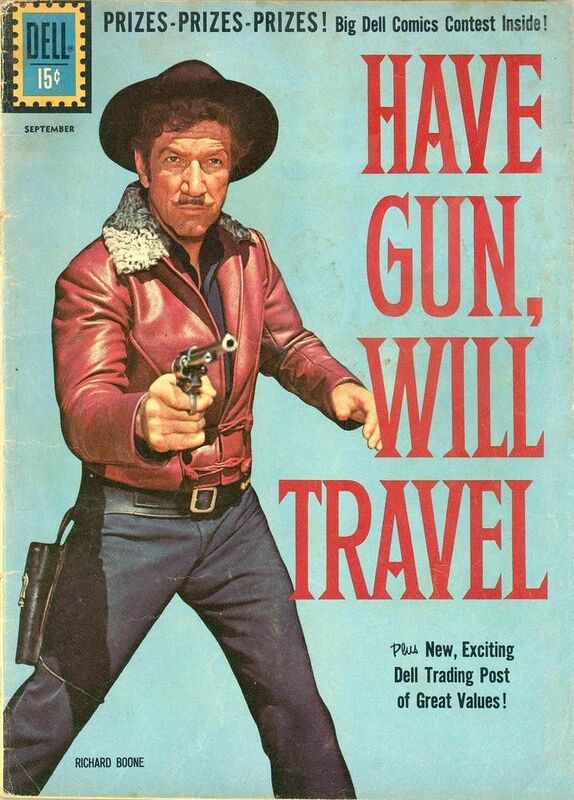 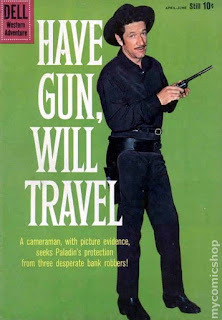 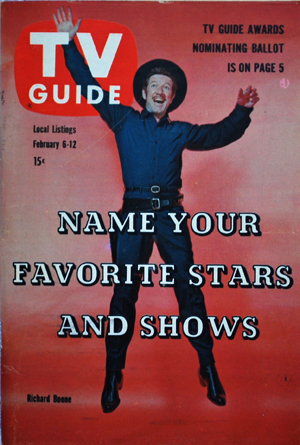 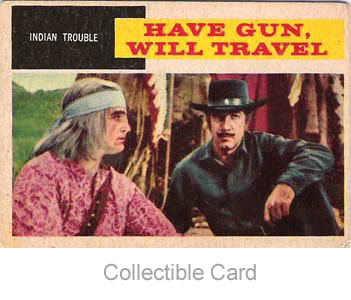 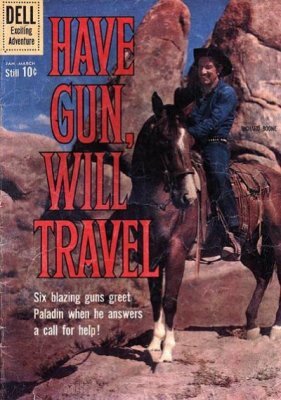 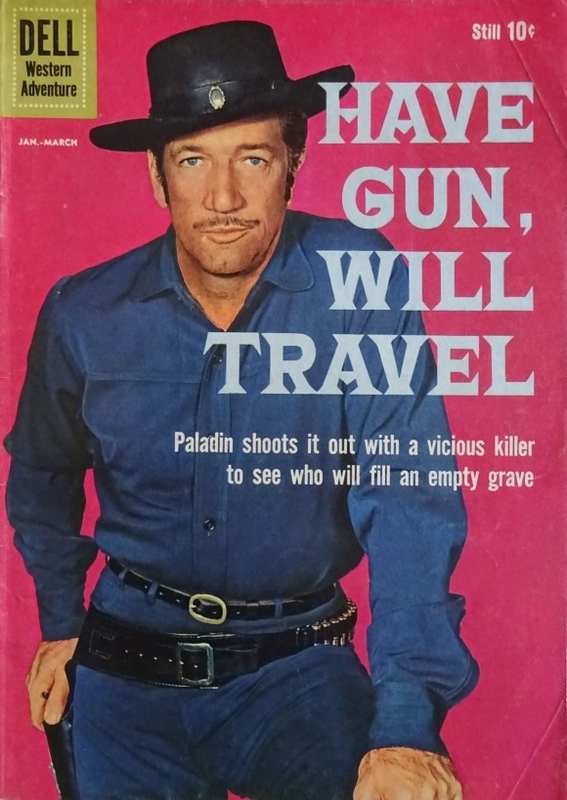 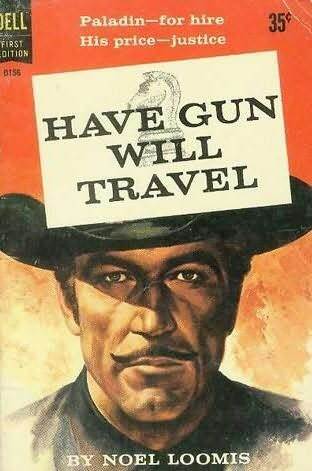 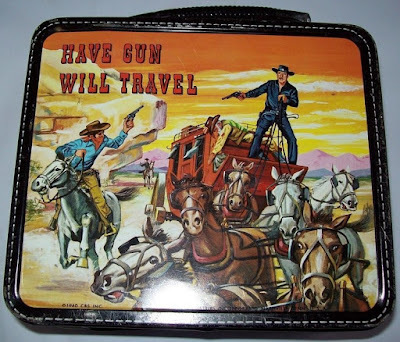 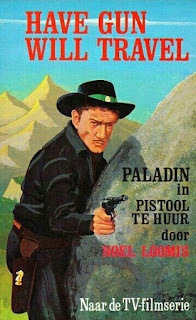 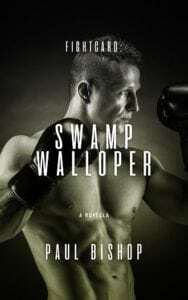 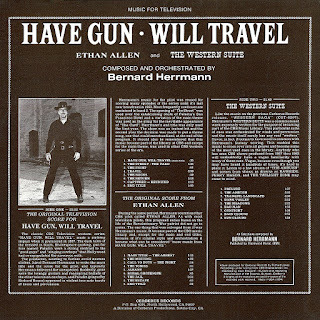 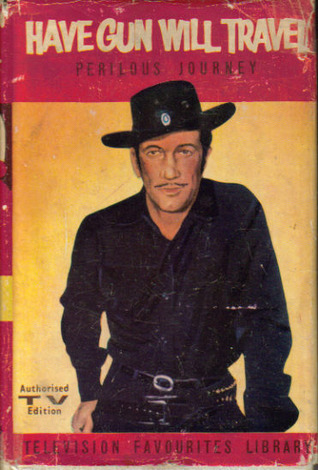 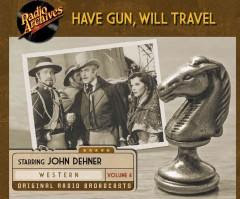 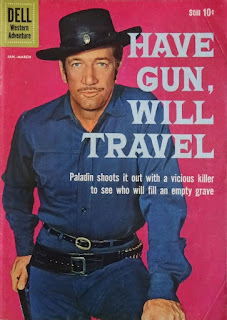 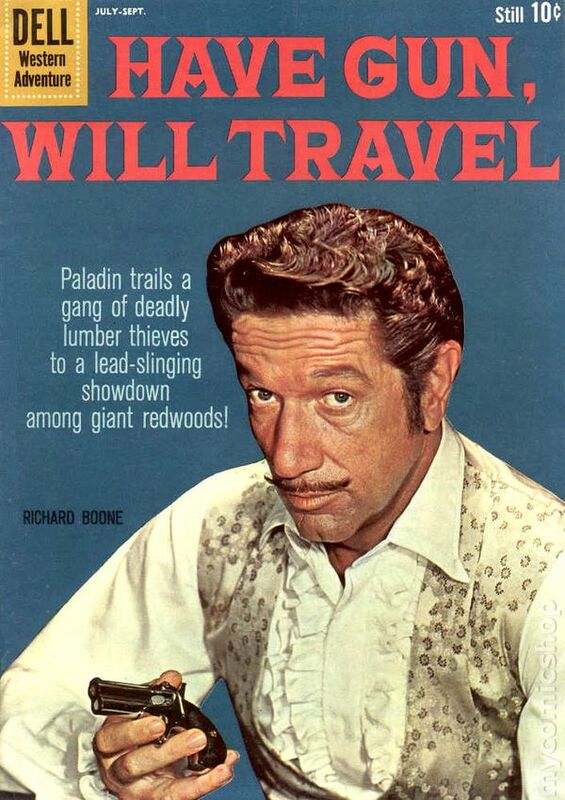 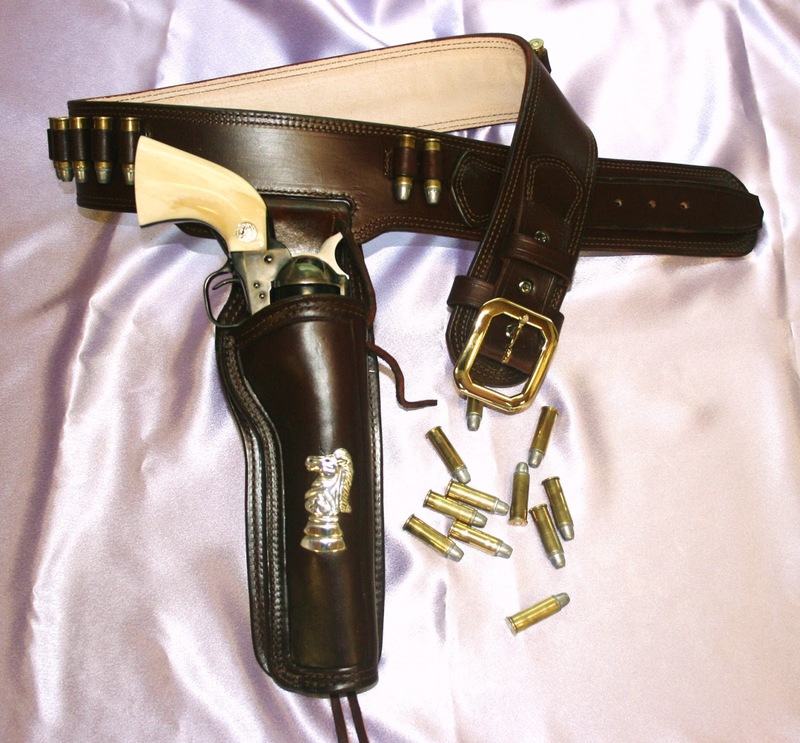 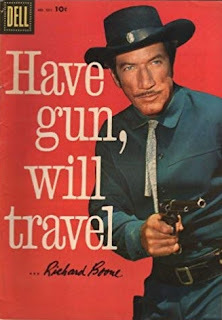 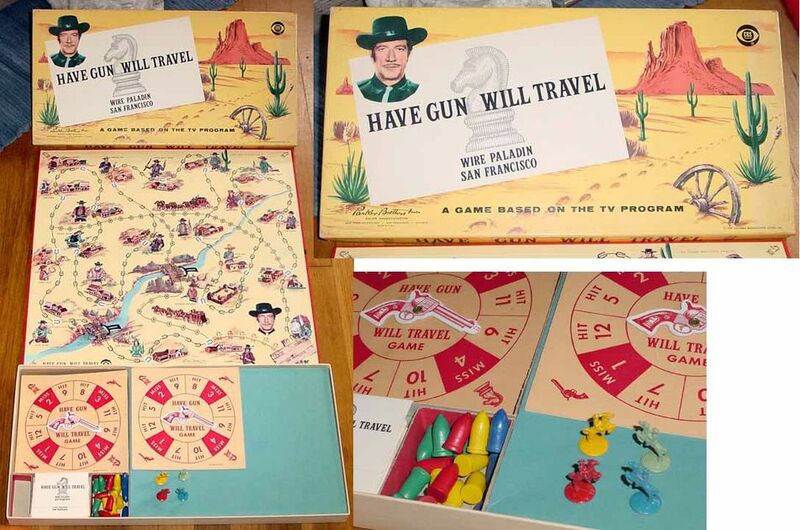 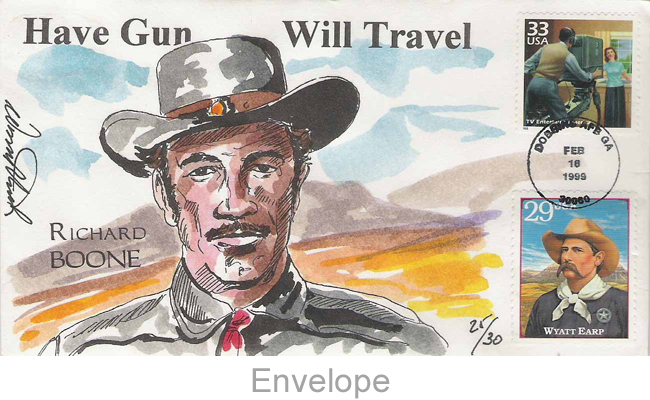 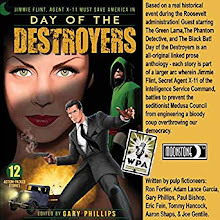 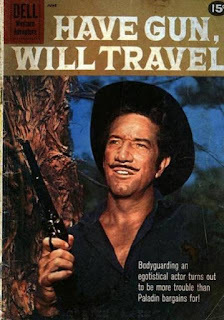 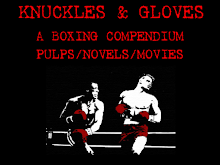 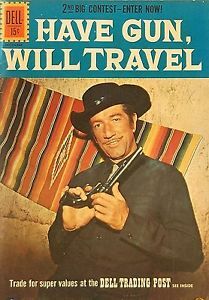 Have Gun, Will Travel by Neil Lomis was published by Dell in 1960. 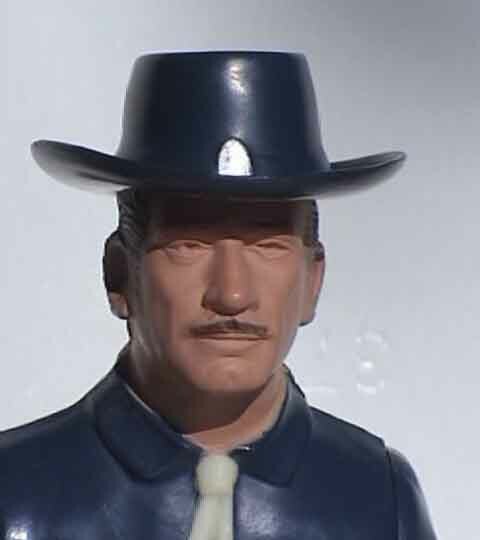 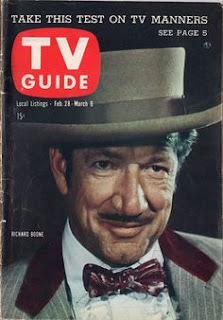 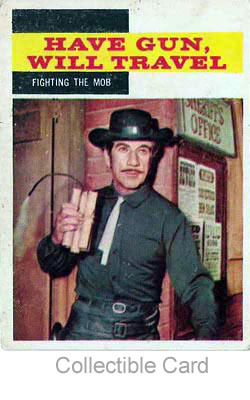 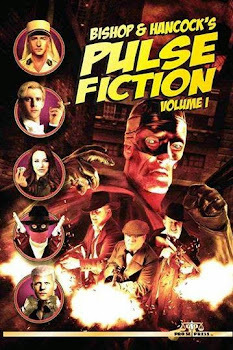 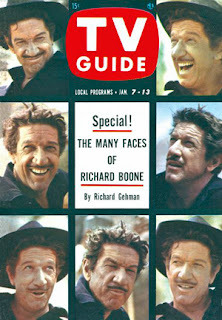 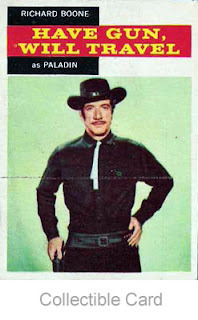 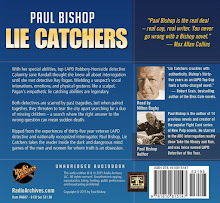 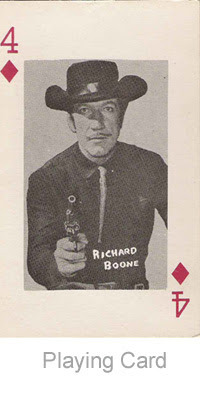 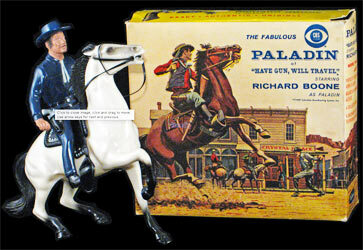 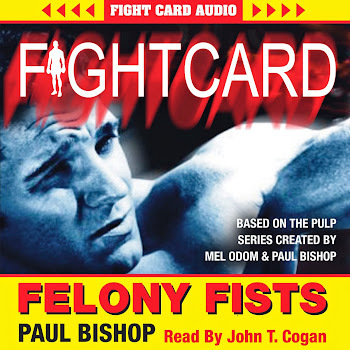 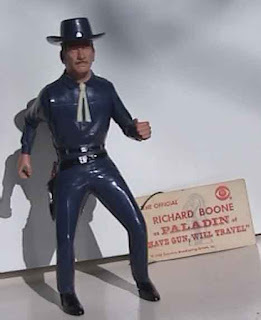 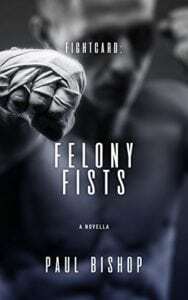 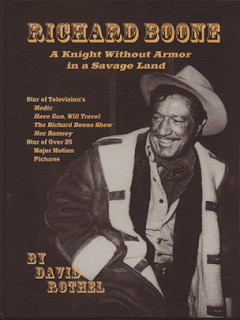 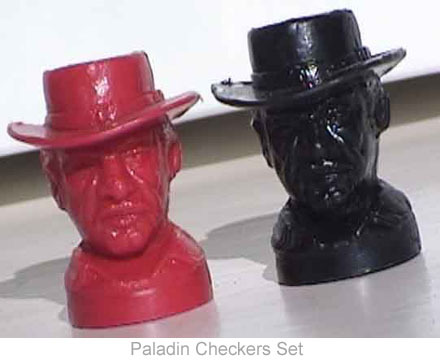 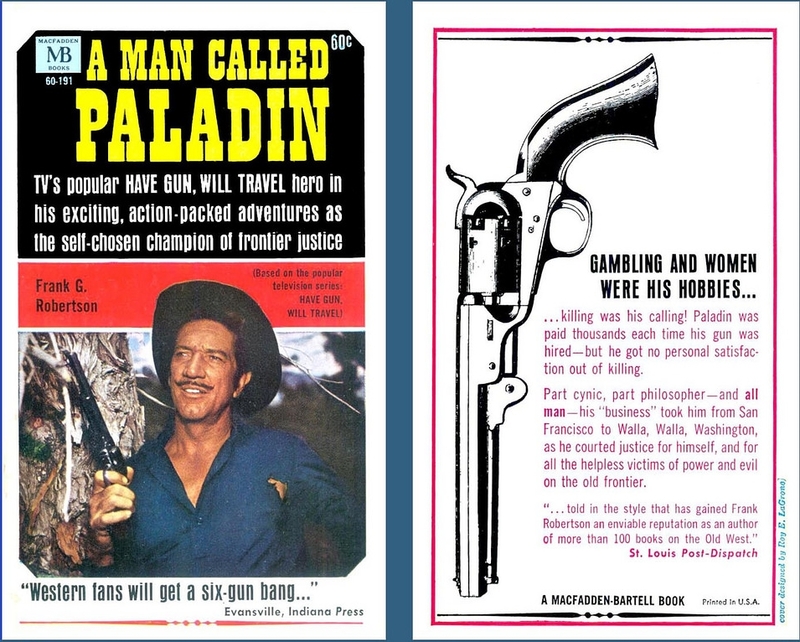 A Man Called Paladin by Frank C. Roberson is from 1964.